The set consits of a nose wheel and mainwheels with the later style hubs. These wheels are designed to fit single seat Vampire models from Special Hobby and Extratech or two-seater training Vampires from Aifix. 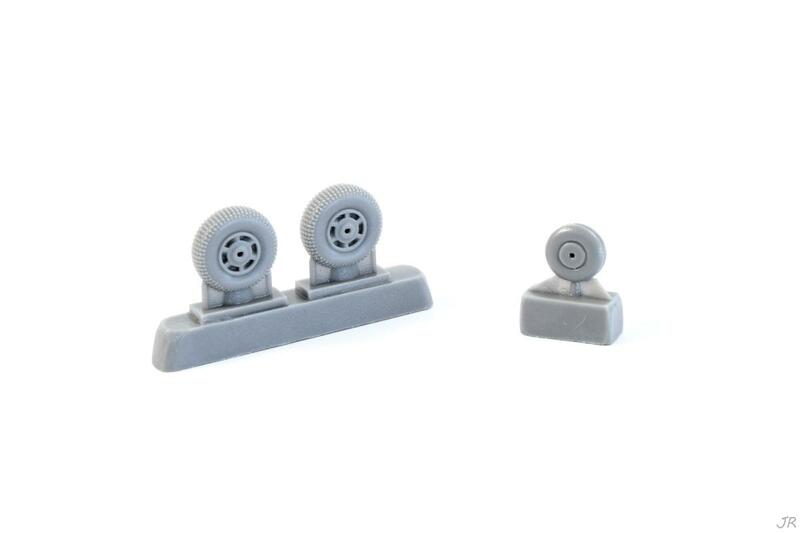 The nosewheel comes as a one piece while the kit items have to be assembled from two parts. The mainwheel tyres feature nicely rendered and accurate tread pattern. The master parts were 3D created.